Size: 5.2" x 3.0" x 1.3"
This educational toy - and the similar Mathix 400AA- are not related to Texas Instruments. 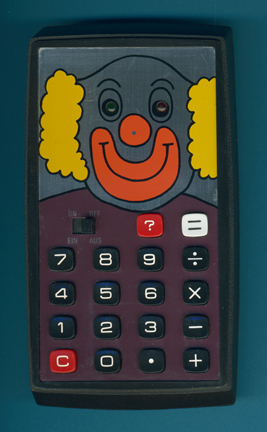 They are included only for comparison with the rare MATH MAGIC and its sibling WIZ-A-TRON. The same electronic was used in the same electronic was used in the QuizKid from National Semiconductor and the wonderful Monkey See sold by Radio Shack.